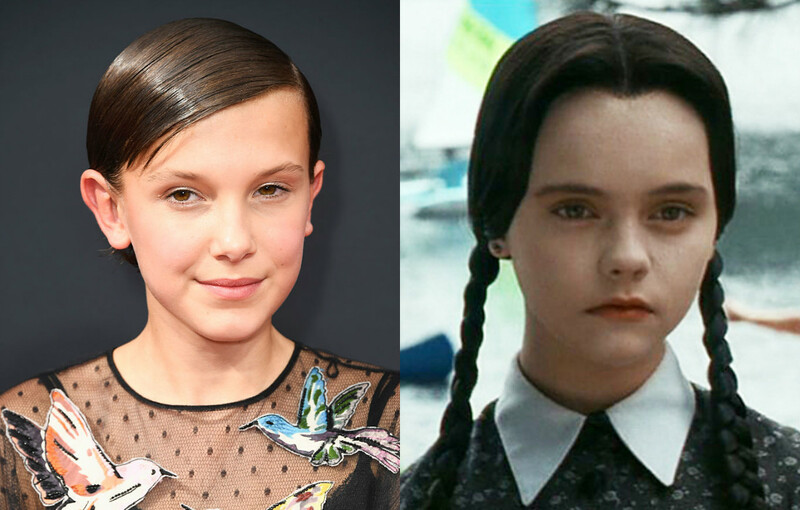 If you’ve spent any time at all paying attention to Millie Bobby Brown (aka Eleven on Stranger Things) you’ve probably fallen in love with her. The 12-year-old British actress is not only crazy talented on-screen, she can also sing (and rap!) her buns off — and her style game is on point. 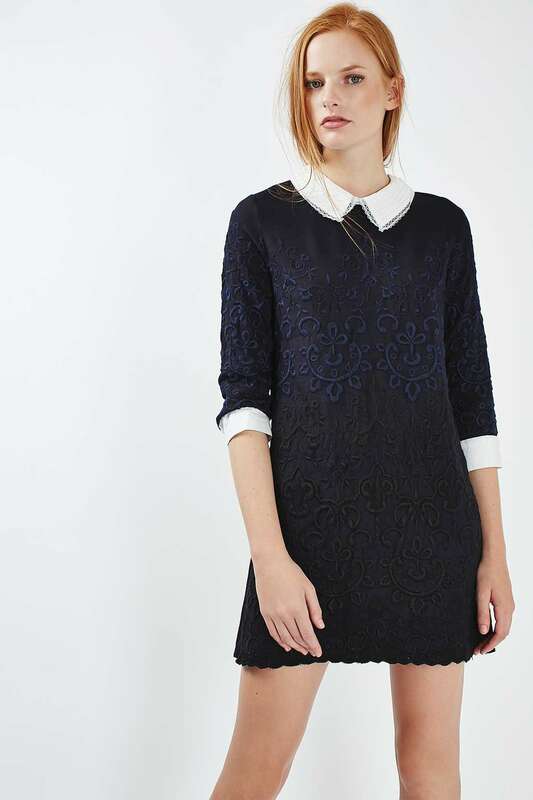 Is this not the dress you want to wear every day until next spring? Us, too! Here’s the good news: You can wear this dress every day until next spring if you want to because it’s from Topshop and it’s $140! 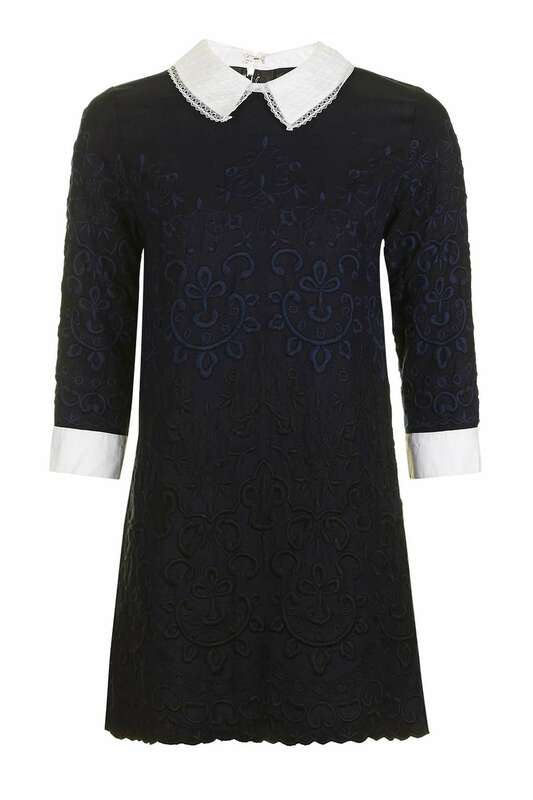 Made from 100% viscose, this machine-washable, collared frock is navy blue and black — and perfect for school, a night out or a regular day at work. FYI, it comes in regular and petite sizes. 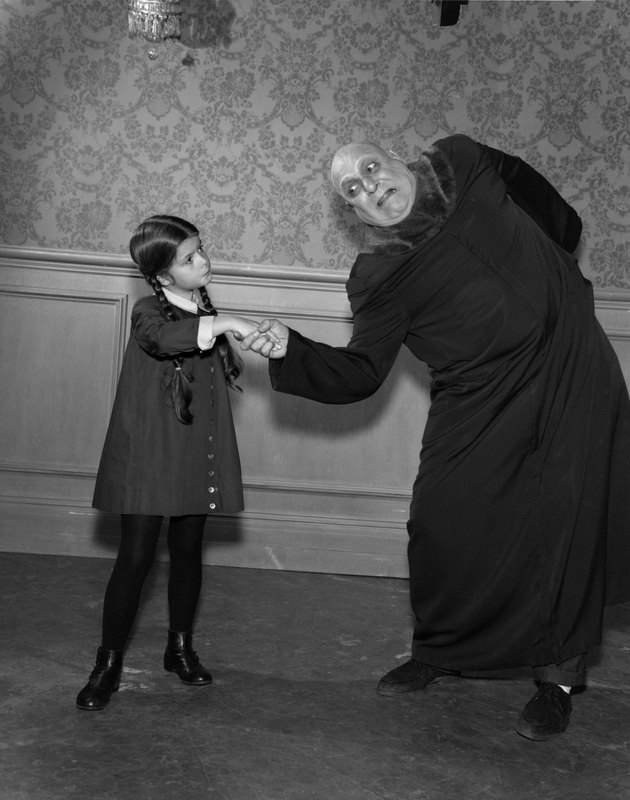 Check out the original Wednesday Addams — Lisa Loring — wearing her fabulously collared dress in 1965 with Uncle Fester (Jackie Coogan).